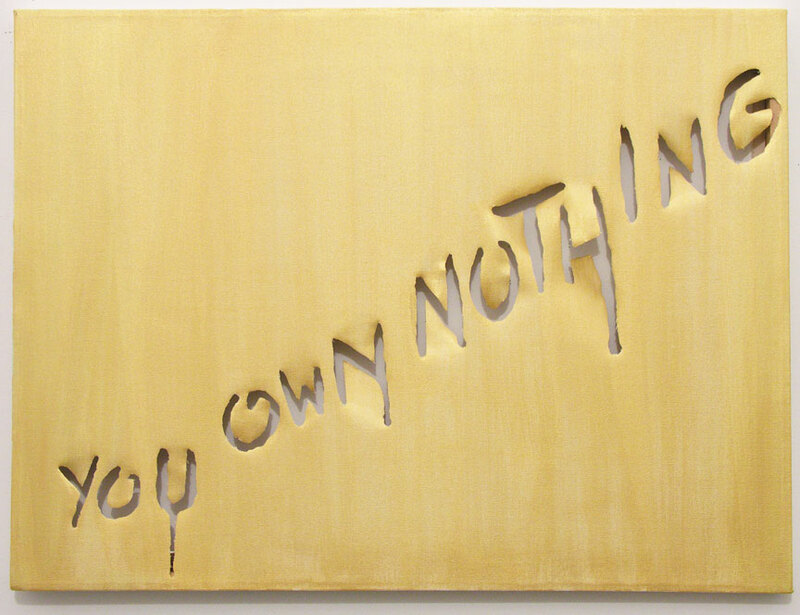 You Own Nothing, 2012. 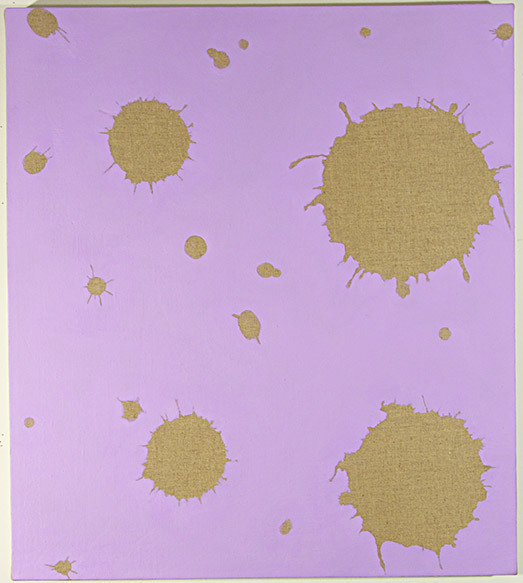 Metallic oil paint on slashed canvas; 30 x 40"
Hyper, 2012. 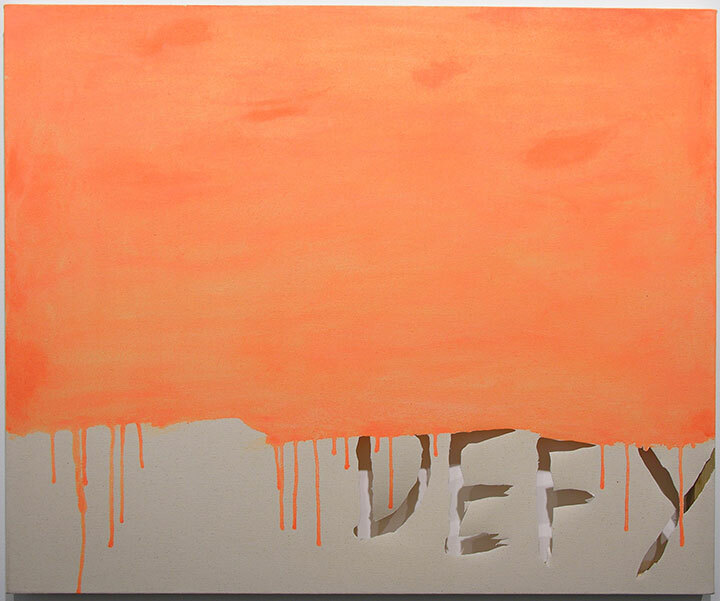 Oil paint on raw canvas; 33 x 40"
Unjust Laws, 2012. 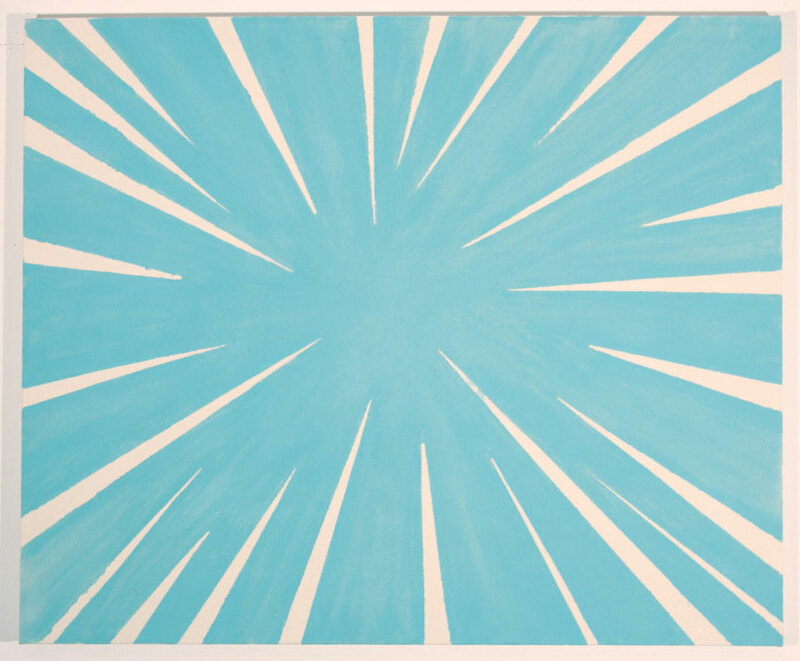 Iridescent oil paint on slashed raw canvas; 33 x 42"
Check Yr F***ing Hi$tory, 2012. 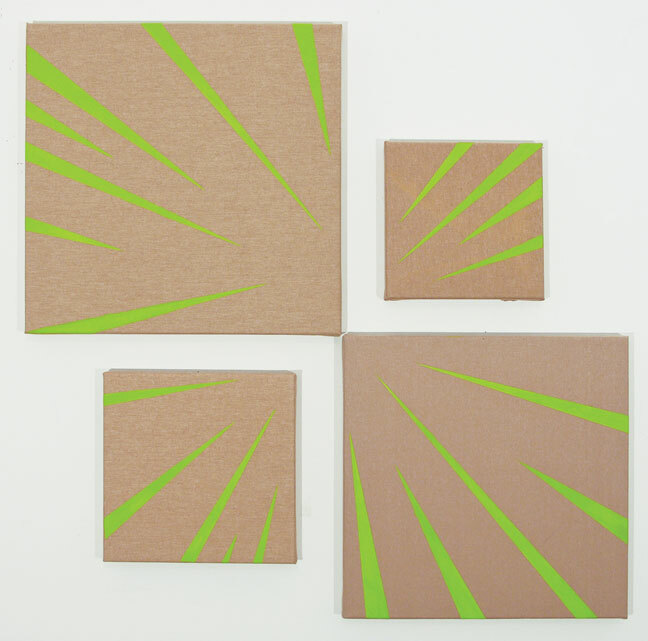 Oil on raw linen; 4 parts, 38 x 38"
I've Got It and It's Not Worth Having, 2012. 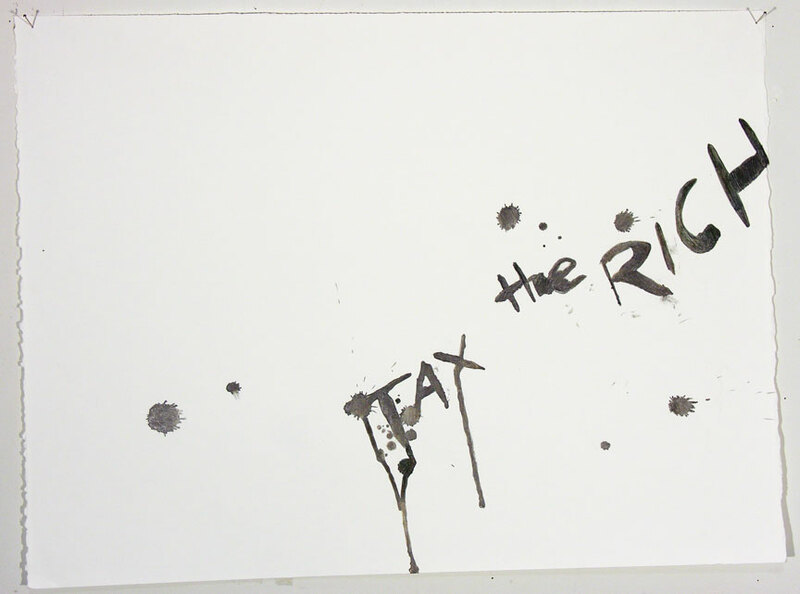 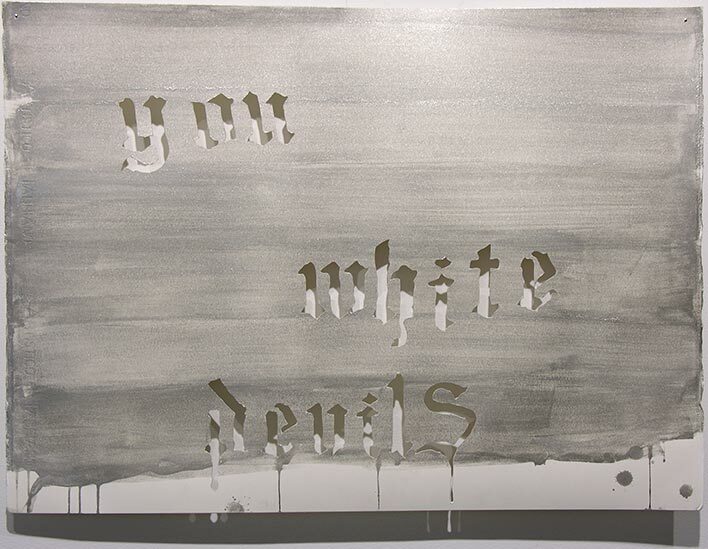 Oil on raw linen; 24 x 22"
Tax the Rich, 2012. graphite on paper; 20 x 30"
White Noise Demo, 2012. 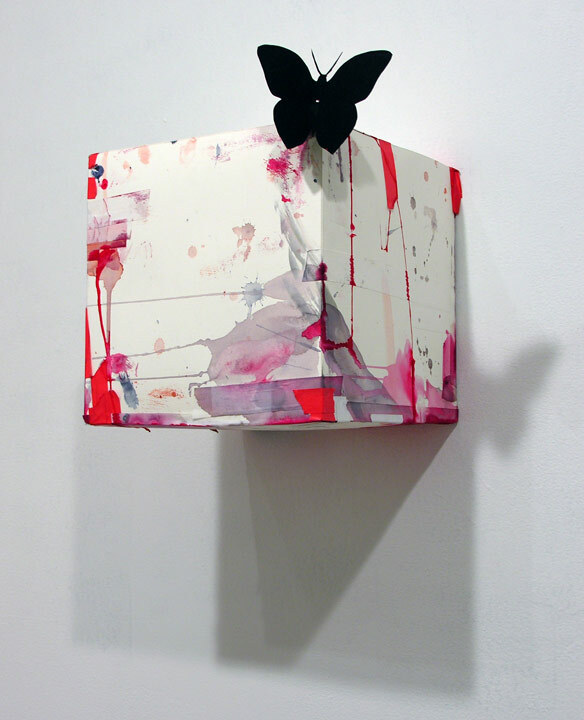 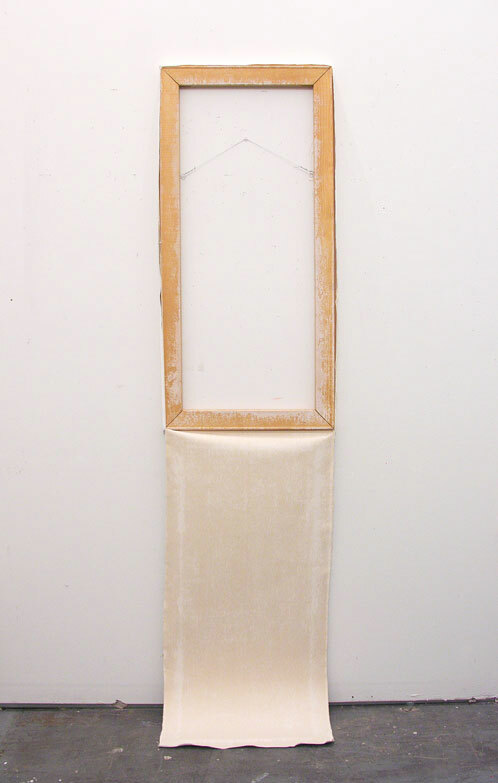 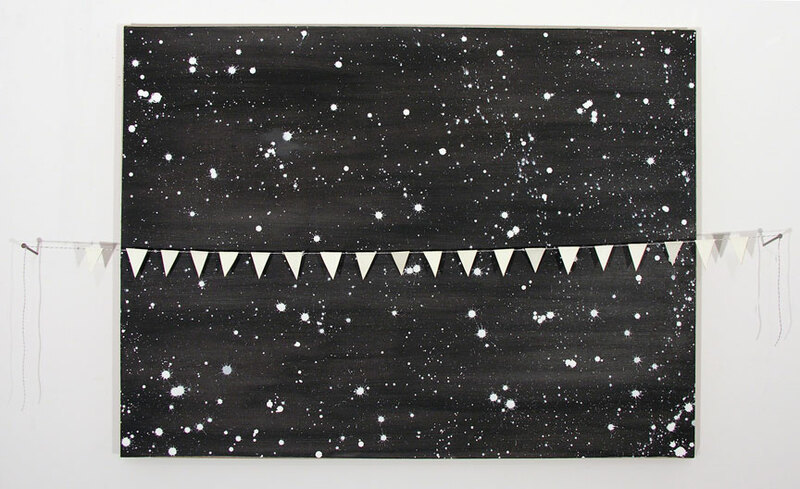 Oil on linen and painted linen flags, string, nails; 30 x 49"
You White Devils, 2012. 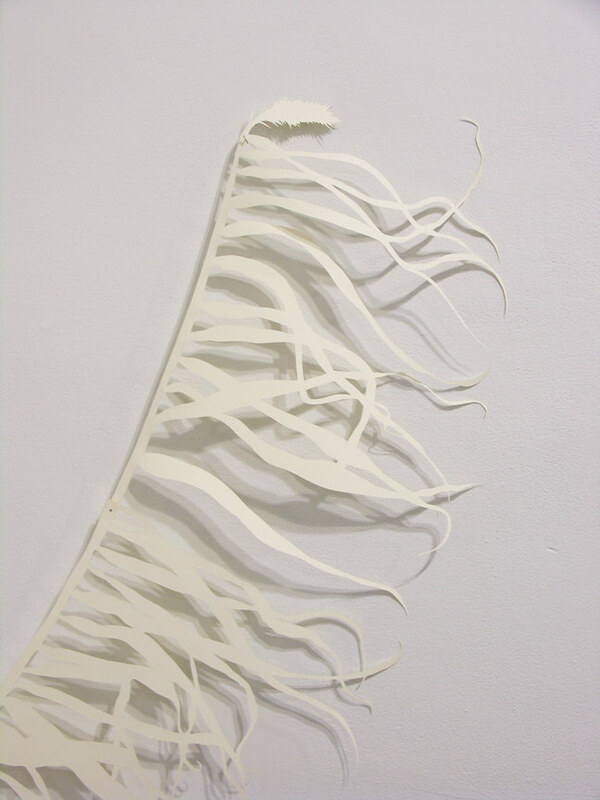 Metallic watercolor on cut paper; 22 x 30"
Pain, Plunder And Personal Loss, 2012. 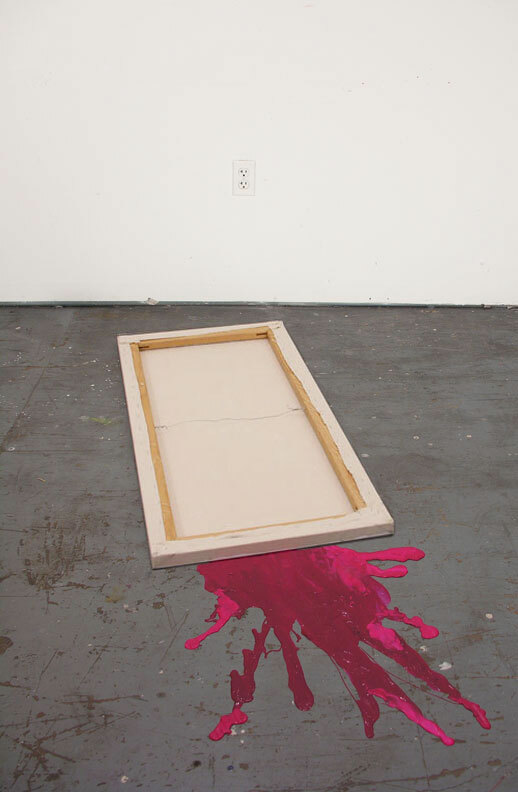 Gesso on canvas, acrylic paint on floor; 1 x 23 x 65"
Untitled, 2012. 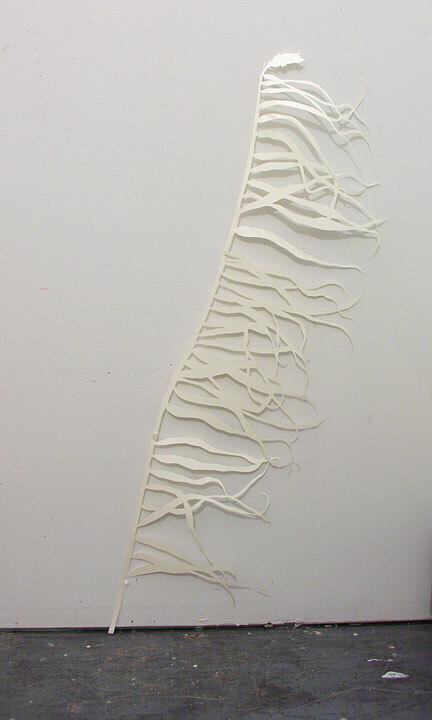 Object cut from 3 sheets of paper, pins, wall; ca. 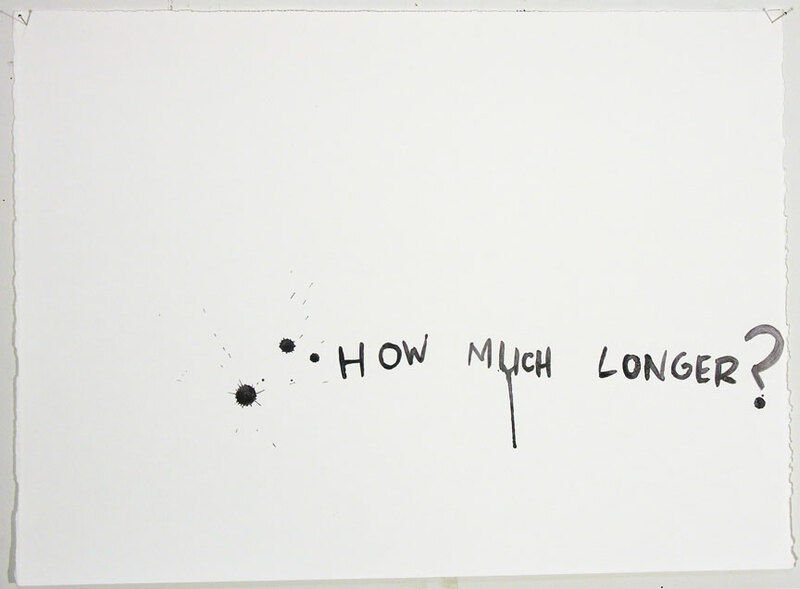 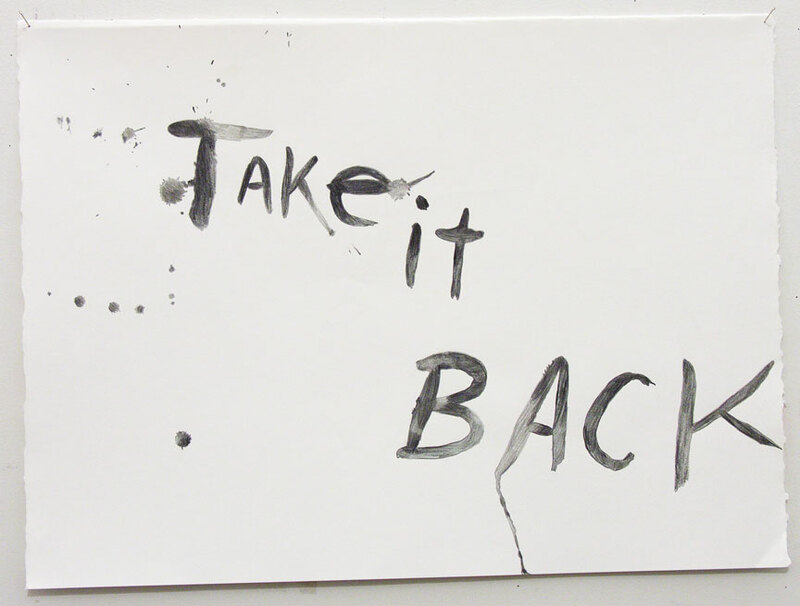 46 x 18 x 1"
Take It Back, 2012. graphite on paper; 20 x 30"
White Flag, 2012. 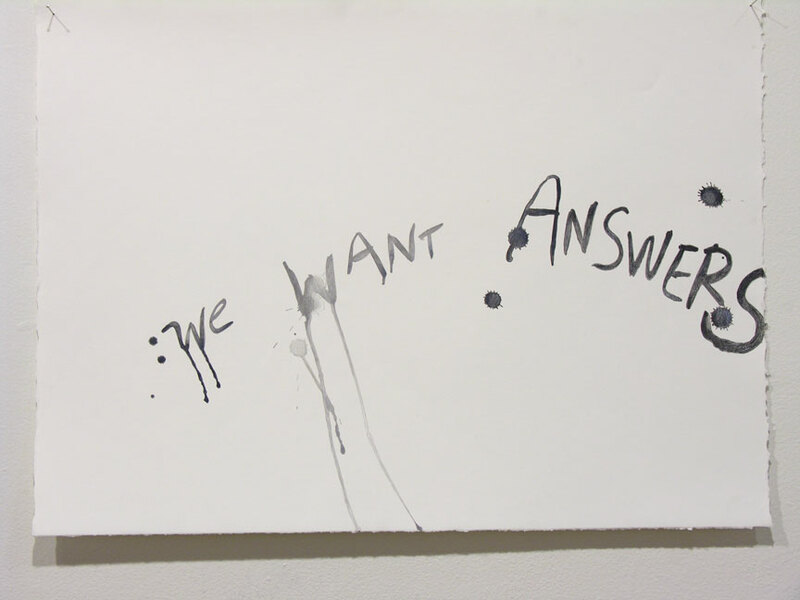 Gesso on torn canvas, wood, wire; 80 x 22"
We Want Answers, 2012. graphite on paper; 20 x 30"
How Much Longer, 2012. graphite on paper; 20 x 30"